Public Remarks: This GHO Home is the Tacoma model. Tour with the attached virtual tour. This classic elevation with 3br 3ba open floor-plan will offer a gourmet kitchen with stainless steal appliances, tiled floor throughout, Impact Windows and Sliders. You will enjoy entertaining in this separate dining room as well as the spacious 32 x 14 outside lanai. Cross Creek Lake Estates is a luxury gated community which encircles a 44 acre community lake. 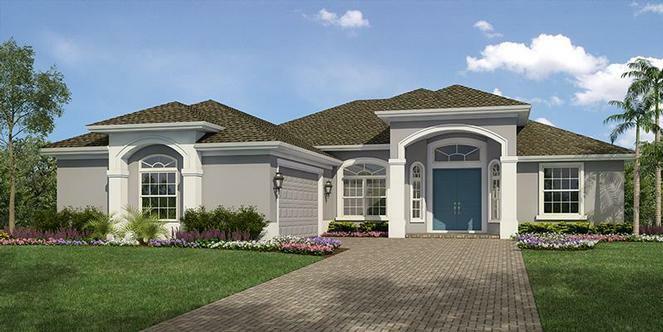 Here, residents can enjoy living on private lakefront property where Florida living is made simple. Bring your kayak or canoe to the community lake for a tranquil afternoon outing, or head just a few miles east to the beach and enjoy all of the perks of living on Florida's Treasure Coast.